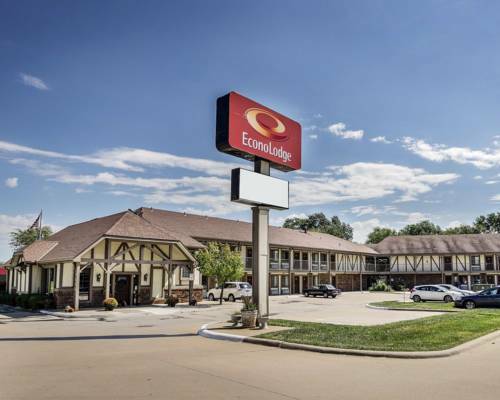 Hotel is located close to Kansas City and other metropolitan areas with fine dining, amusement parks, museums, and shopping malls. Free continental breakfast. This is a pet friendly hotel. 10.00 USD/night per pet. Pet limit: 2 pets per room; up to 50 lbs. A valid credit card or $100.00 USD cash deposit required for all guests. This property does not have an elevator. When he was in Kansas, the 19th century militant abolitionist lived here and shot at people outside. The old cabin is preserved from the elements inside of another, more recent, building. A curious underground museum, safe from any Zeppelin attack. Opened in late 2006, a bit late for most WWI vets. Has a replica trench and a 100-foot-long recreation of "No Man's Land." A real plane on a Mexican restaurant roof has a big pepper for a pilot. Wild West fans come from far and near to "see the bullet hole" which may or may not have been made by the bullet that took a shortcut through Jesse James' head.